The West End is a neighbourhood of Halifax Regional Municipality in the Canadian province of Nova Scotia, located on the western half of the Halifax Peninsula. The West End is predominantly middle class with many blocks of tree-lined older residential streets. However, it is also home to many students and small low rent units. Rising real estate prices have also led to some levels of gentrification. The border between the West and South End's of Halifax has crept north as the southern section has gentrified. While Jubilee Road has long been considered as the southern boundary, some now regard Quinpool Road as the area's southern edge. Quinpool is generally considered the heart of the West End, and site of such landmarks as the West End Baptist Church, the Oxford Theatre and a diverse array of small businesses. The northern boundary is also subject to interpretation but is widely regarded as Kempt Road and Windsor Street. 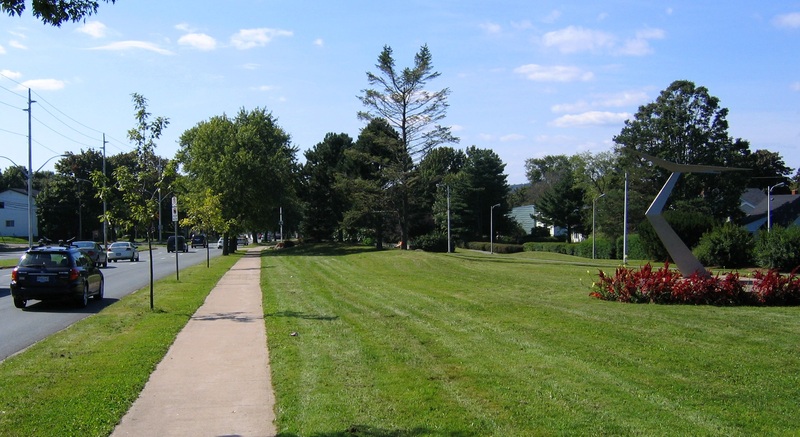 The western boundary between the West End and Mainland Halifax is generally considered to run from the Northwest Arm and northward along Dutch Village Road and Joseph Howe Drive. The neighbourhood is defined municipally by District 14 Connaught-Quinpool and provincially as the Constituency of Halifax Chebucto.